Show-Dog/Universal recording artist's media dance card is full. 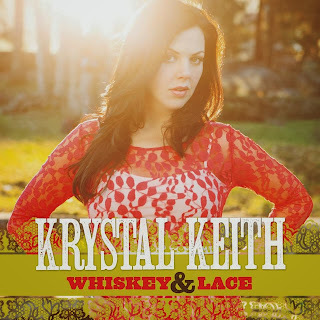 (NASHVILLE, Tenn.) Breakout country music sensation Krystal Keith continues to ride high on the momentum of her single "Get Your Redneck On," the first official single from her album "Whiskey & Lace." The track hit radio and iTunes on Sept. 30 and now media outlets are booking the ShowDog/Universal recording artist to chat about her success. Beginning Monday, Krystal allowed fans the first shot at an interview with an online chat. Then she discussed Whiskey & Lace with the Oklahoma Gazette. Following that, she'll decamp to the studios of Inside Music Row/Zuus' Live from the Couch for an interview and three-song acoustic set. The piece will run in the first week of December. Krystal will also do radio interviews with Crook & Chase, Kickin' it With Kix, American Country Countdown with Kix Brooks, and Country Countdown USA. Then she'll meet up with Country Weekly to do an interview and Christmas photo shoot, and she'll do another interview and in-studio performance for Renegade Radio. The media blitz includes online media. Country Music Tattle Tale, Roughstock and Country Music Matters are poised to grill Krystal for their web audiences. Krystal will then tape an on-camera interview with Nashville Country Club before catching up with GAC and CMT for more on-camera conversations. Here's what else the press has to say about the burgeoning singer-songwriter: "Krystal has talent, a lot of it, and she is going to reach heights of fame that even her father could not imagine," wrote Yahoo Voices. Likewise awestruck with Krystal is Headline Country, saying, "Krystal's performance carries shades of artists like Reba and Faith Hill while she delivers a sterling neo-traditional ballad." Of course all of this come on the heels of unexpected advance buzz about Krystal Keith's early single "Daddy Dance With Me." Krystal debuted the tune at her own wedding, as a surprise for her father, superstar singer-songwriter Toby Keith. Heartfelt and powerfully performed, the song made Krystal an instant favorite with country music fans. The response to the song among radio stations and fans prompted an early release, and the accompanying video garnered more than one million views during June, which encompasses both wedding season and Father's Day. A lyric video for "Get Your Redneck On" is out now (http://vevo.ly/9IyixP).